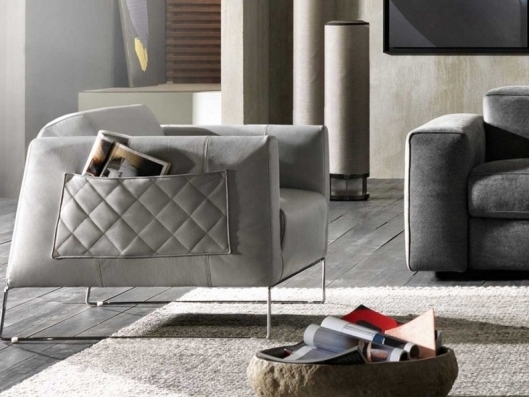 With squared forms that enhance refined details, Regia is a simple, sought-after armchair with a magazine-rack pocket on the side and metal feet to accentuate its minimalist and functional character. 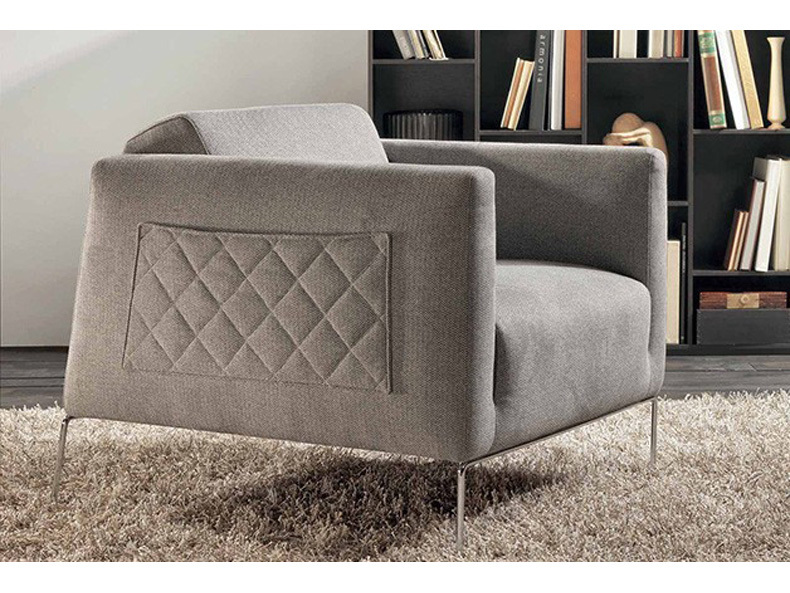 A perfect harmony of comfort and aesthetics. 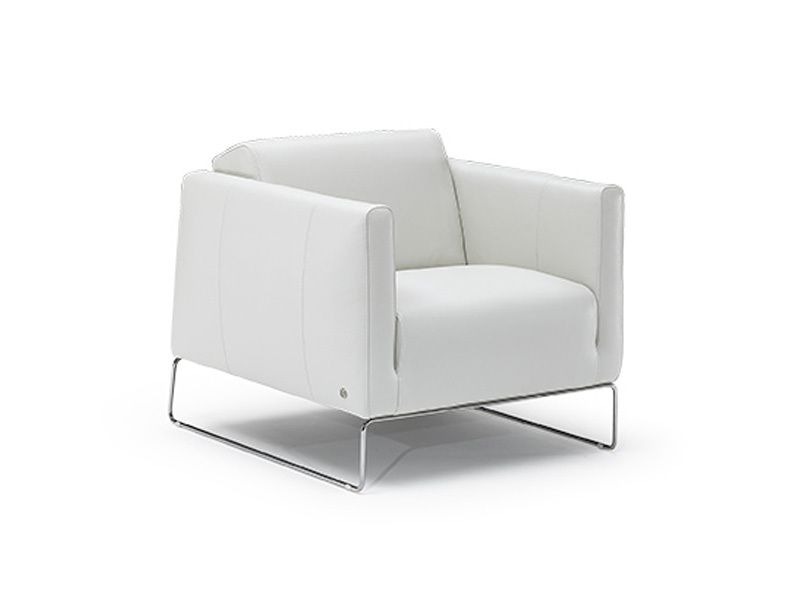 Material: Available in removable fabric.